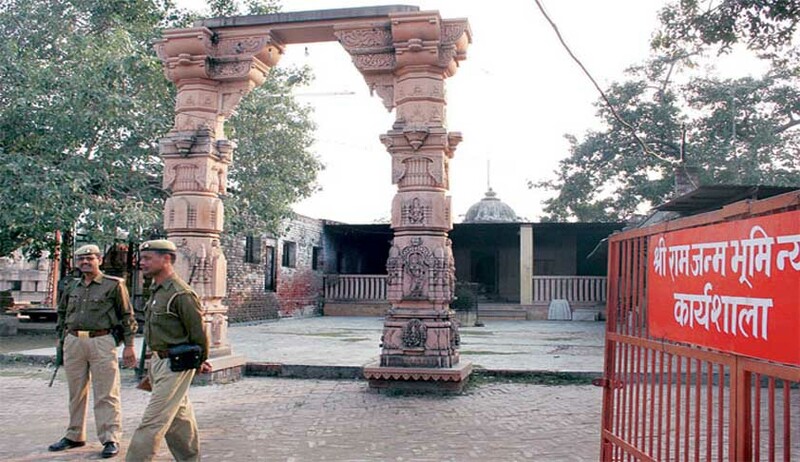 The Supreme Court today asked why there cannot be an out-of-court settlement to the vexed Ayodhya Ram temple issue saying these were matters of religion and faith. The bench headed by Chief Justice J S Khehar was hearing a mentioning by BJP leader Subramaniam Swamy who sought an expeditious day-to-day hearing of the appeals filed against the Allahabad High Court order and said they have been pending since nearly seven years. ĆJI significantly also said the SC is even ready to spare a sitting judge as mediator but put a condition that first all sides including Swamy should sit together and decide if an out of court setttlement could be possible. "These are matters of religion. Is it possible to give a call? Why dont you make an attempt to sort it out sitting across the table", the CJI asked Swamy. The appeals filed by the Sunni Waqf Board and other parties five years ago challenge the September 30, 2010 verdict of a three-judge Lucknow Bench of the Allahabad High Court that Hindus have the right to the makeshift temple under the central dome of the Babri Masjid. The Bench had relied on Hindu faith, belief and folklore to decide.